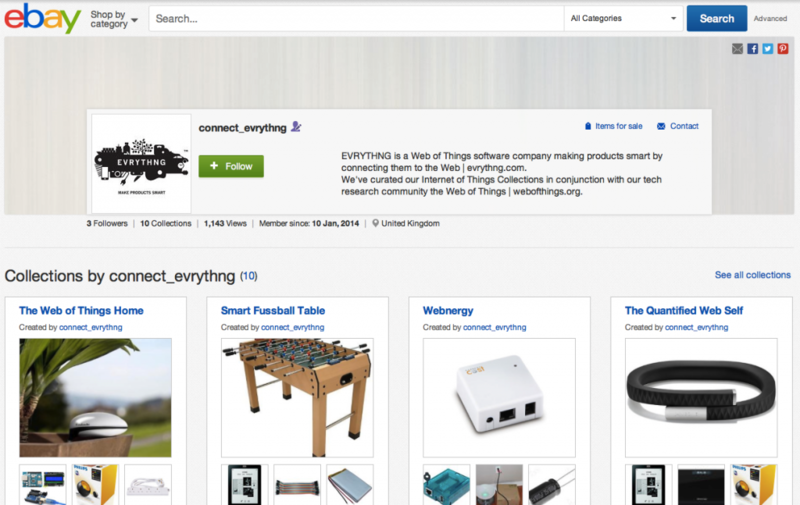 Today sees the launch of ‘eBay Collections’ – eBay’s newest feature that allows its members to curate products around certain themes or ideas – and here at EVRYTHNG we are proud to have been asked to contribute 12 Internet of Things Collections as part of the initial launch campaign. We trust our IoT Collections will be well received in the existing hacker / coder / maker communities 😉 but we are also keen to encourage more people to get involved in this exciting space! We will therefore be releasing a series of recipe blogs to accompany our Collections, giving step-by-step guidance on how to build useful, interesting and fun connected products. 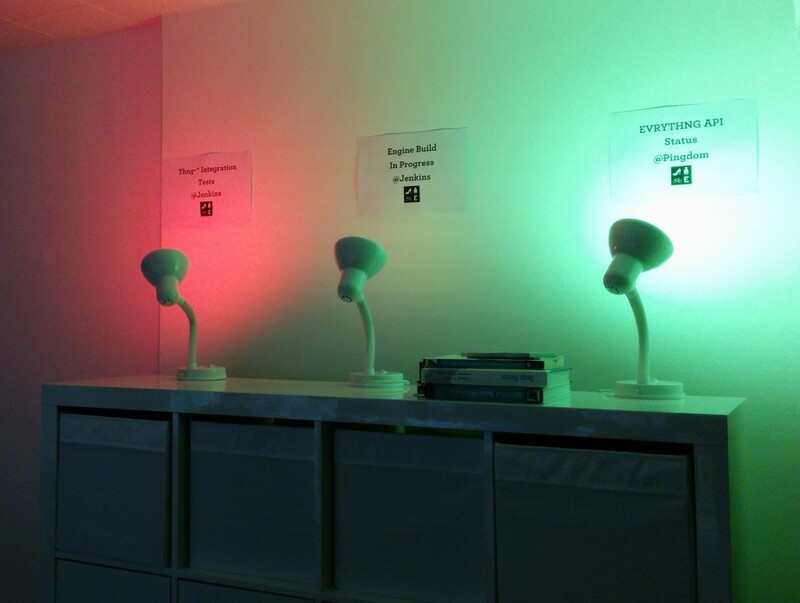 First up, Smart Lamps – change lamp colors and patterns based on real-world events! Obviously our final goal wasn’t simply to use the lamps to reflect the mood in the office but to do something slightly smarter with them: to create a very visual and simple dashboard of how well our infrastructure and software was doing at any one point of time.